He is highly skilled in all aspects of Plastic Surgery, Reconstructive Surgery and Cosmetic / Aesthetic surgery. Vivek offers the full range of treatments at Elanic along with a team of handpicked plastic surgery consultant colleagues utilising some of the most advance equipment available on the market today. Vivek is also a registered trainer for Cynosure laser systems and SkinCeuaticals Advanced Skincare and offers courses at various points throughout the year, click on the link below to see what courses are currently scheduled and how to register and a book a place on them. As part of his commitment to improving the quality and in healthcare Vivek and the team run GP Education Evenings on a free of charge basis to ensure local doctors are up to speed with new developments and current practice in a range of specialist areas including , plastic surgery, dermatology, vascular surgery, ophthalmology. Click here to see a list of upcoming events. Vivek also runs open evenings for interested members of the general public at the Elanic Clinic in Bath Street covering a wide range of topics. These evenings are designed to give an overview of certain cosmetic surgery procedures and offer an opportunity for those attending to ask questions and gather more information or have a mini consultation with Vivek and his team on the evening. A list of the open events and the topics to be covered can be accessed by clicking the link below. Please contact the Clinic to book a place especially if you would like a mini consultation as slots are limited on the evening. Vivek is a Consultant Plastic Surgeon and our Medical Director. 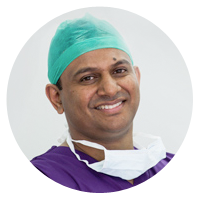 Vivek specialises in cosmetic surgery, breast reconstruction, skin cancer and laser surgery. Submit an Enquiry or call us out of hours to leave a message.